Lock in a great price for Southern Grampians Cottages – rated 9.6 by recent guests! This place was so clean and well maintained. Totally recommend it! Great cabin set in beautiful garden and idyllic surroundings. Would have stayed longer. Friendly staff, great environment and a well appointed cottage. The setting of these cottages is idyllic. A kangaroo hopped through the property in the morning. The owners were exceptionally friendly and accommodating. Very well appointed studio cottage, ample basic supplies (sugar, coffee etc) in glass jars rather than tiny paper sacks, modern fittings (e.g.toilet, basin, frig, stove etc.) with the bonus of a very effective wood fire. It's a beautiful place to stay, really clean, great location, had all the equipment we needed to cook and have a BBQ. The breakfast is worth it. We loved our stay! 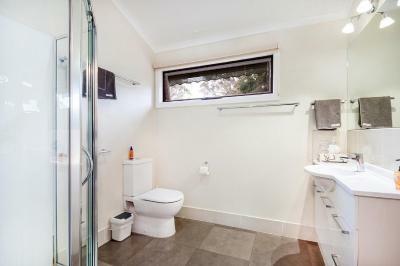 The unit was clean and compact and had already been warmed up before we arrived. The setting was very well kept and peaceful. The cabin was cosy. A home away from home. The outside gardens were very picturesque. Nice peaceful setting where you can unwind relax and get back to nature. 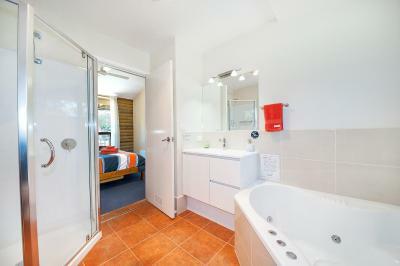 Comfortable accommodation, well kitted out and with 3 heating options. Lovely surroundings. 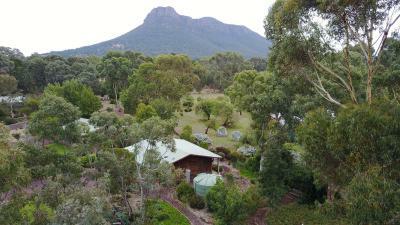 Well located for visiting Grampians. Wish we could have stayed longer. Close to everthing but far enough away from the highway for peace and quiet. The cottages are private being spaced about on a large treed block. They are well provided with quality kitchen and bathroom items. 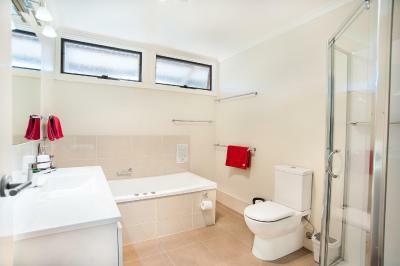 Thoughtful extras like plenty of towel rails, ceiling fans and wood for the fireplace. 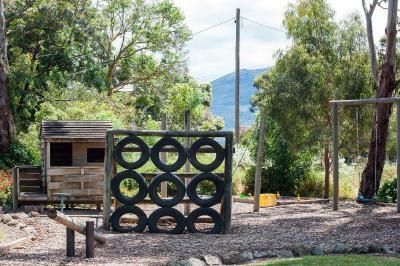 Southern Grampians Cottages This rating is a reflection of how the property compares to the industry standard when it comes to price, facilities and services available. It's based on a self-evaluation by the property. Use this rating to help choose your stay! All self-contained cottages include verandas and private BBQ facilities and a lounge area with a digital LED TV and DVD/CD player. 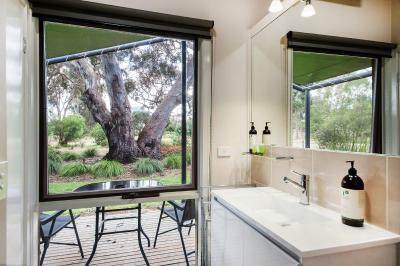 Some cottages also feature a 2-person spa bath or a patio. You can hire a set of golf clubs and enjoy a game of golf or explore the lovely landscape with a rental bike. There is also a volleyball court, a communal BBQ area, a children's playground and a DVD library. 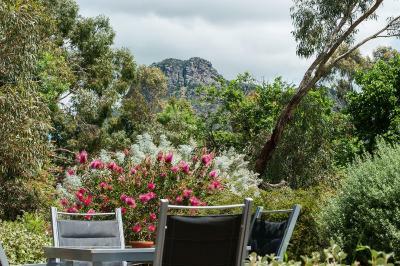 Southern Grampians Cottages is located within 5 minutes' drive of Enigma Variations Winegrowers, Mount Sturgeon, Mount Abrupt and Piccaninny. 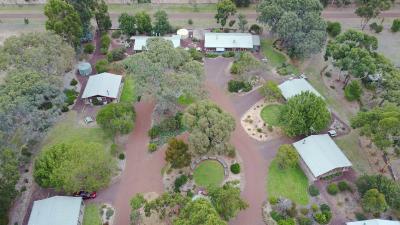 This property is also rated for the best value in Dunkeld! Guests are getting more for their money when compared to other properties in this city. 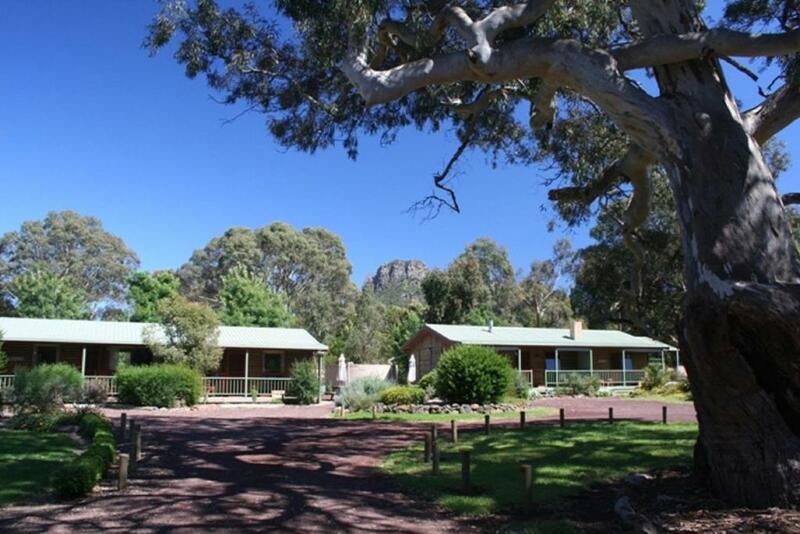 When would you like to stay at Southern Grampians Cottages? 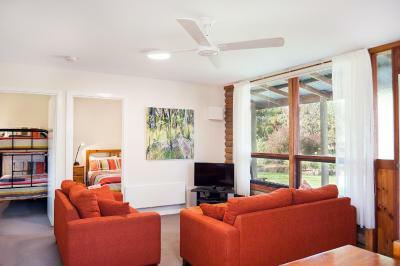 This standard cottage features a fireplace, a digital LED TV and a DVD player in the lounge area. The fully equipped modern kitchen includes an oven and a stove. This standard family cottage features a patio with a private BBQ and garden/mountain views. 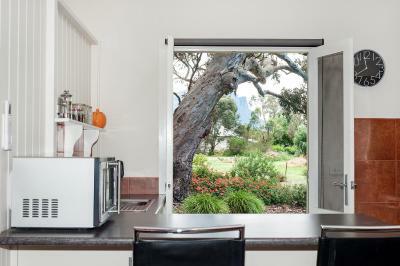 The fully equipped kitchen includes an oven and a stove. There is an LED TV and DVD player in the lounge room. 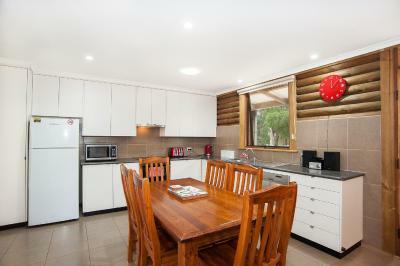 This spacious air-conditioned cottage features a patio with a BBQ and garden/mountain views. The fully equipped kitchen includes an oven and a stove. There is an LED TV and a DVD player in the lounge room. This air-conditioned cottage features a 2-person spa bath and a private BBQ area offering garden views. The lounge area offers a fireplace, an LED TV and a DVD player. The fully equipped kitchen includes an oven and a stove. 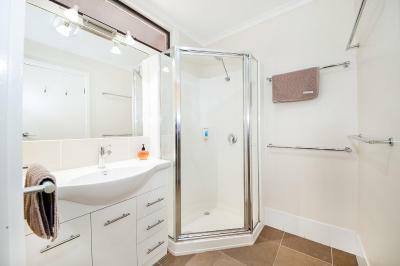 This spacious air-conditioned cottage features a 2-person spa bath. The patio has a BBQ and garden and mountain views. 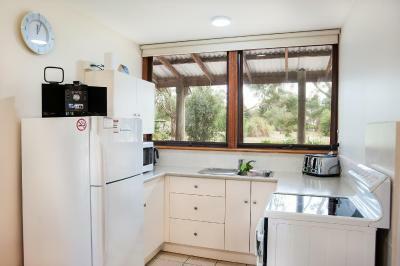 The fully equipped kitchen includes an oven, a stove and a dishwasher. There is a large LED TV and a DVD player in the living room. This spacious air-conditioned cottage features a fireplace and 2-person spa bath. The patio has a BBQ and garden and mountain views. 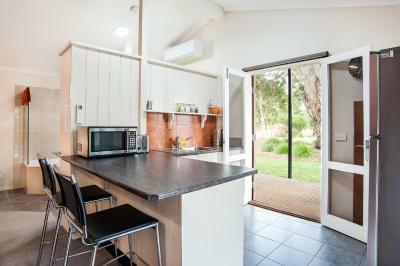 The fully equipped kitchen includes an oven and a stove. There is an LED TV and DVD player. This spacious air-conditioned cottage features a wood fireplace, a patio with a BBQ and garden/mountain views. The fully equipped kitchen includes an oven and a stove. There is an LED TV and DVD player in the lounge room. 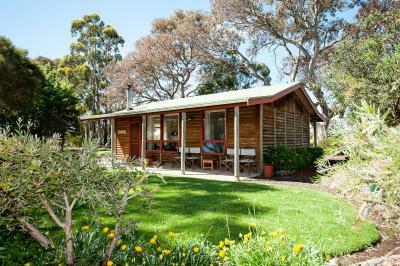 House Rules Southern Grampians Cottages takes special requests – add in the next step! One child under 3 years is charged AUD 5 per night in a crib. 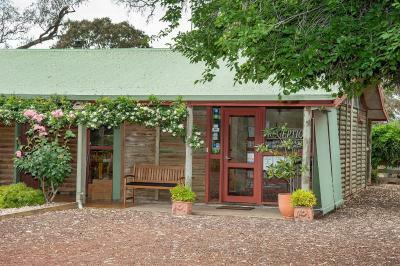 Southern Grampians Cottages accepts these cards and reserves the right to temporarily hold an amount prior to arrival. Please inform Southern Grampians Cottages of your expected arrival time in advance. You can use the Special Requests box when booking, or contact the property directly using the contact details in your confirmation. We had a complementary big buck kangaroo grazing on our front lawn. 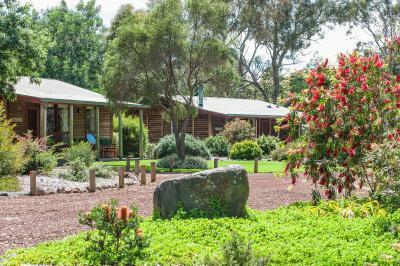 These were beautiful, large (2 bedroom) self-catering cottages set in a park-like setting. Each cottage was separate with parking right beside the cottage and privacy insured. The kitchen was very well equipped for cooking, which we did. The decoration was nice, WIfi very good. It was really a wonderful surprise. The light bulbs were a white light, which I know is energy saving though is also harsh on the eyes at night. There was one lamp that had yellow bulbs so we mainly used that at night. The cottage was very well equiped and had a great little deck overlooking the mountain. The grounds around the cottage are beautiful and a pleasure to wander around. Beautiful setting, great fire, comfy bed and close to town. Highly recommend! LEAVING!! The fact that, because of other commitments back home, I could stay for only one night when I would have loved more! The cottage was a beautiful surprise! The location and overall ambience were absolute gift. The cottage itself was so roomy, clean and comfortable and every convenience supplied. The owners were very friendly and welcoming and helpful with local information. The floor is a bit creaky. 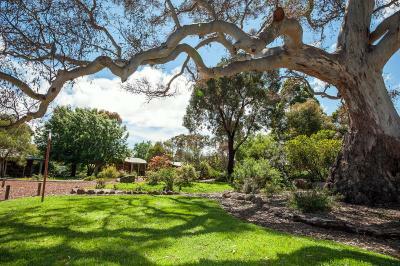 Beautiful surroundings, wildlife, sunrise and environmental care. N/A - everything was of a good standard. Very comfy bed. Spa bath was great! Amazing place. Calm, very beautiful. Very lovely stuff members. Big, clan cottage. Very cozy. Looking froward to come back to this place with family. Lovely rural feel. Plenty of space. Walking distance into Dunkeld. Friendly owners. 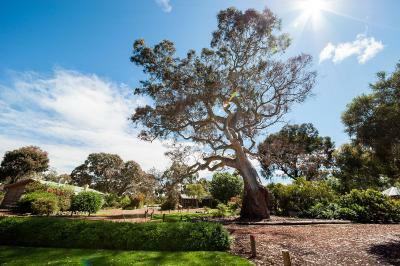 Beutiful quiet place with old trees and visiting kangaroos every now and then. We had a great stay!